Ken Macha is gone, done, finished with the Milwaukee Brewers. Or rather, the Milwaukee Brewers are finished with him. After two seasons of uninspiring management the front office made the less than difficult decision to not exercise Macha's 2011 option. His tenure will bet remembered as bland and ineffective, a manager that never truly grasped what a national league team mus do to be successful. Ken Macha never really connected his players, but his biggest crime was losing. In two seasons at the helm he failed to have a winning season, a winning record at home, or finish higher than third in the division. No he wasn't given much of a pitching staff, but in the end he was never a good fit with Milwaukee. So the search begins, with names aplenty being thrown into the mix. As every possibility is looked at, let's make it clear what Doug Melvin shouldn't do. I'll make it simple for him, here's how not to blow it again. Don't hire a manager that looks like it pains him to argue a call. The Brewers are an emotional team, they like to celebrate when they win and get fired up at a bad call. It's the way this group is, so bringing in a stoic figure like Macha was an immediate detriment to the clubhouse. The next manager must be willing to show he cares, for the fans and for the players. Don't let go of Ed Sedar. There isn't a fan who doesn't like Ed Sedar and there isn't a player that doesn't like Ed Sedar. 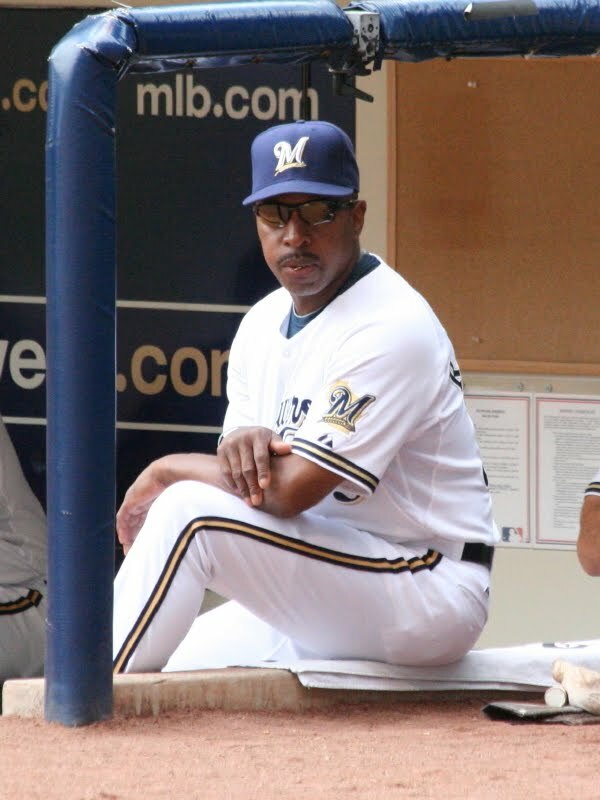 Even if Melvin decides to make major overall changes, there is one coach that you can't let out of Miller Park and that's Sedar. If the front office were to make that change they would be causing a great deal of damage to the club's chemistry in 2011. Don't hire the following people: Jerry Manuel, Bob Melvin, Bob Brenly. There's something to be said for managers that have been fired by multiple teams, especially when they've had a modicum of success. That is the category Manuel and Melvin fall into. Manuel might have been a solid manager for the White Sox ten years ago but his time with a young Mets team over the past two years is a better indicator of what he would bring to Milwaukee. Manuel has seen his best days as a manager and they are behind him. As for Bob Melvin, something about him just rubs me the wrong way. When he has had success it has been followed by quick and impressive failure. In his first season in Seattle he won 93 games, in his second he lost 99 and was let go. 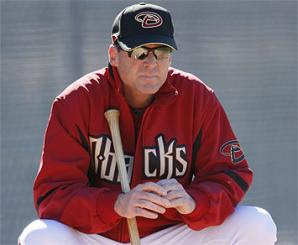 After back to back losing seasons in Arizona he won 90 games and the division. Within two seasons he was fired. Finally, the way Melvin lobbied for Jerry Manuel's job a month before Manuel was fired was disrespectful and shameless. Qualities a blue collar town like Milwaukee will not be fond of. And Brenly? Speaking of shameless, Brenly as an announcer for the Cubs has degraded, derided and even insulted some of the Brewers superstars. Including the face of the franchise, the deputy himself - one Ryan Braun. Can you imagine how much respect Brenly would command in the Brewers clubhouse after the things he's said? Don't overthink this. Two years ago when Milwaukee hired Ken Macha, Willie Randolph finished a close second. Doug Melvin wanted a different type of Manager from Dale Svuem and Ned Yost. Well, Macha couldn't have been any more different and look how that turned out. Overlooking Willie Randolph now for the reason he is already in house would be foolish and could turn out to be very costly. Whether or not you like the idea of Randolph as the Manager, he deserves fair consideration. Overlooking a possible option because he is "too close" to the team is ridiculous. A new approach can be had by simply making the change. It doesn't mean removing an option who knows the strengths and weaknesses of the team before he even takes the helm. Stats are great but they can't tell you about the psyches of players who spend seven months of your year with. Don't settle for mediocrity. Under no circumstances should a sub-par option like Bob Melvin be hired simply because he has experience. Experience is great when it's winning, but even Macha had that and look how it turned out. You can discount a guy like Don Money just because he hasn't managed at the big league level. The list of candidates right now is a mile long, it has the washed up like Jerry Manuel and Bob Melvin, the in-house like Dale Svuem and Willie Randolph, and the yet-to-be like Pat Listach and Don Money. You will hear names like Eric Wedge and Bob Brenly, Ted Simmons might even get a look. There is on part of this managerial search that can't be overlooked. 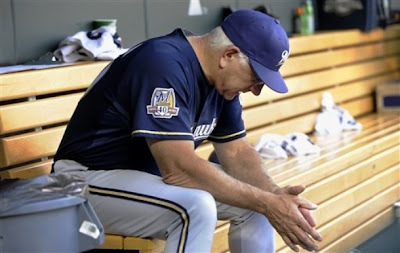 Doug Melvin has done a terrific job of building the Brewers to the point they are at, he put together a group that made the playoffs after more than a quarter century drought. While he may have made the Brewers infinitely more competitive he has only overseen two winning season. If another step forward is not made, it will become clear that Doug Melvin is not capable of taking this team to the next level. Milwaukee is not to that point yet though, but don't misread the votes of confidence. Doug Melvin is GM now, but if his next choice for manager doesn't turn out - it could be his last. Female Escorts In fact, you will believe that that the wonder of self-transformation comes through a spiritual journey, therapy, a guru who tells you what to try to to, social experiences or even medication. But it is not true as a results of most of these are ways that in that of running away from yourself. Instead, follow your inclinations, and you will become who you actually are instead of attempting to be someone else. Tap Tabloid - Ryan Braun as Manager?